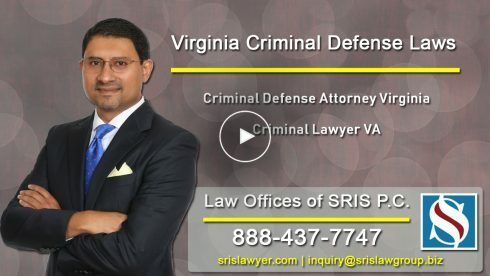 Have you been accused of a crime in Virginia? Then you are probably aware how frightening criminal charges are. You recognize that you may end up in jail, lose your job, lose your immigration status, diminish your chances of security clearance, tarnish your image and your family’s as well. Therefore, it is critical to find the right lawyer. Well, there are few things you need to know before engaging a lawyer. A Virginia criminal defense lawyer should work towards the best interest of the client. Without a criminal lawyer to defend you, chances of success are very slim. Further, for grave offenses such as assault or homicide chances of a positive outcome are even less without skilled legal representation. Therefore, engage a well-trained and experienced lawyer. The criminal defense lawyer will carefully examine the facts of the case and choose what evidence is more useful and present it in the best way possible to try and convince the jury or judge. Moreover, it is the duty of the defense lawyer to present the best possible defense regardless of his/her personal beliefs about the client’s guilt or innocence. Duty to Defend: A lawyer is mandated to legally represent anyone who desires to retain his/her legal services. It is the duty of the lawyer to use his/her skills for the benefit of the client. However, there are exceptions to this. A lawyer may disqualify himself/herself from taking a case due to an inability to appear or conflict of interest. Confidentiality: Under no condition, may lawyers disclose any of the conversations or expose the contents of any documents availed from you without your consent. Any confidential piece of information that is disclosed in court is considered inadmissible and cannot be used.  Duty to seek the interests of the client: A criminal lawyer in Virginia must always strive to work on your best interests irrespective of the consequences that may arise from such actions. Lawyers should keep you informed of any proceedings related to their case. In addition, a lawyer should ask for your opinions so that your case is well represented in court. Duty to give proper accounts: The ethics of a lawyer command that he/she must always maintain a separate account for your case. This means the lawyers must never use your account and money for purposes that are irrelevant to the case. Knowing well that you will need a criminal lawyer to defend you when charged with a criminal offense, do not hesitate to get in touch with an experienced and qualified lawyer right now. Mr. Sris has defended numerous clients charged with criminal offenses. He is a former prosecutor. © 2018 - Law offices of SRIS P.C. I just have to say that SRIS and the entire team have been amazing. I would strongly recommend SRIS and the firm to anyone who need legal help. Mr. Sris and his group has been vital in assisting me with several matters. I express my appreciation for their help, and I tell others to call him, and his office. It is the best law group in our area. They were friendly and helpful. They helped me in processing immigration for my family. Thanks to Mr Sris and the assistants who help me. Thank you! !